I Can’t Hear You! I Can’t See You! is a beautiful story about being different and finding acceptance. It is about finding what you are good at and feeling proud. 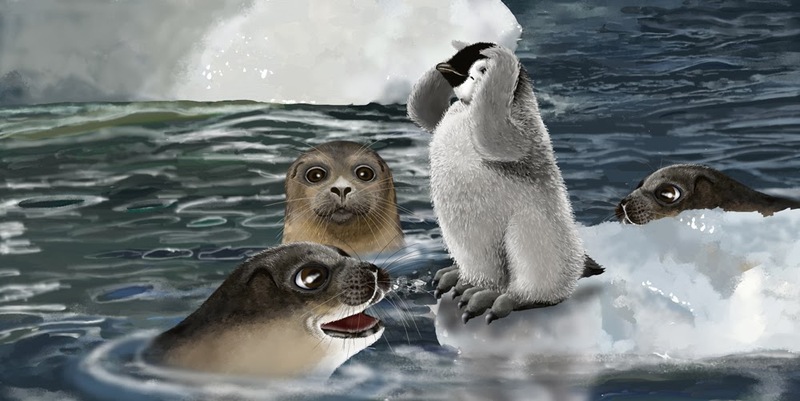 This feel good picture book takes children on a journey with Tippy the penguin and his ocean life friends. ‘Tippy the penguin has a problem. His feet are too big! He’s always caught out first when he plays hide-and-seek with his friends because his toes poke out. There are a lot of things to love about this book. Printed on smooth glossy paper with illustrations that come alive it invites and invigorates. The smooth theme is carried through in the pages which turn beautifully and are a delight to read. It is hard to say what I love about this book but I just love it! It was such a pleasure to read. I Can’t Hear You! I Can’t See You! is one of those books that shows great team work between the author and illustrator. The pictures and words compliment each other beautifully. I love the large illustrations that jump out of the page and take you to with them to the next one. You can see and feel the movement of each character which creates a desire to reach out and touch them, expecting to feel the soft down of a penguin. 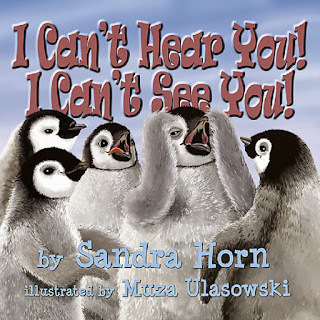 I Can’t Hear You! I Can’t See You! is a high quality children’s picture book that will be enjoyed by all who read it. It is a visual journey that stimulates the senses creating a warm pleasurable experience that enhances the sharing pleasure.